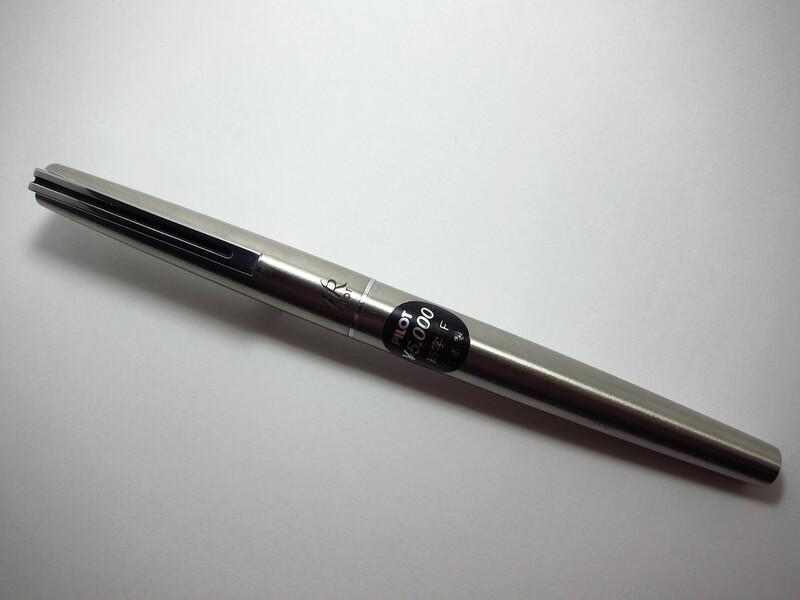 Let’s get one thing out of the way right now: the most expensive pen I own is a Pilot Murex MR-500SS. 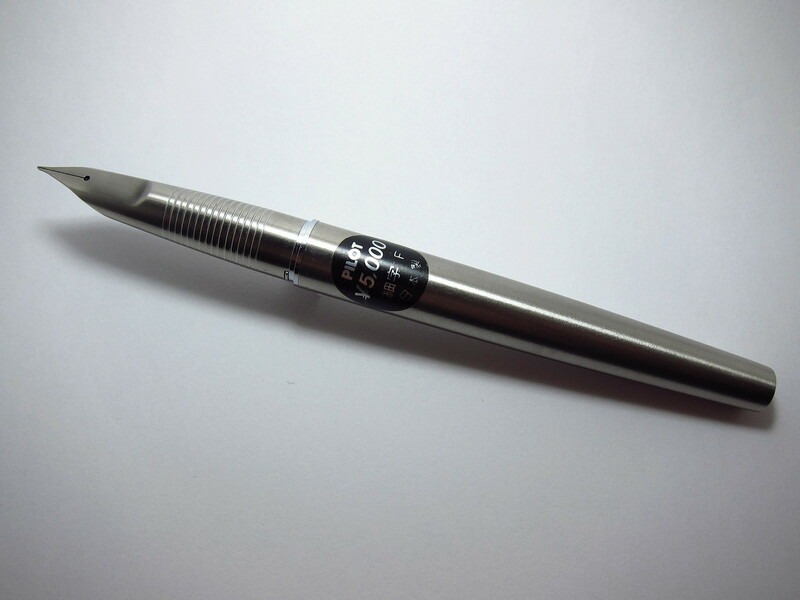 Why am I writing about a pen that routinely sells for over 200 USD on a blog called “The Economical Penster”? Because my feelings about this pen explain the way I judge other pens. It’s my gold standard. The Murex was, and still is, my “holy grail” pen. 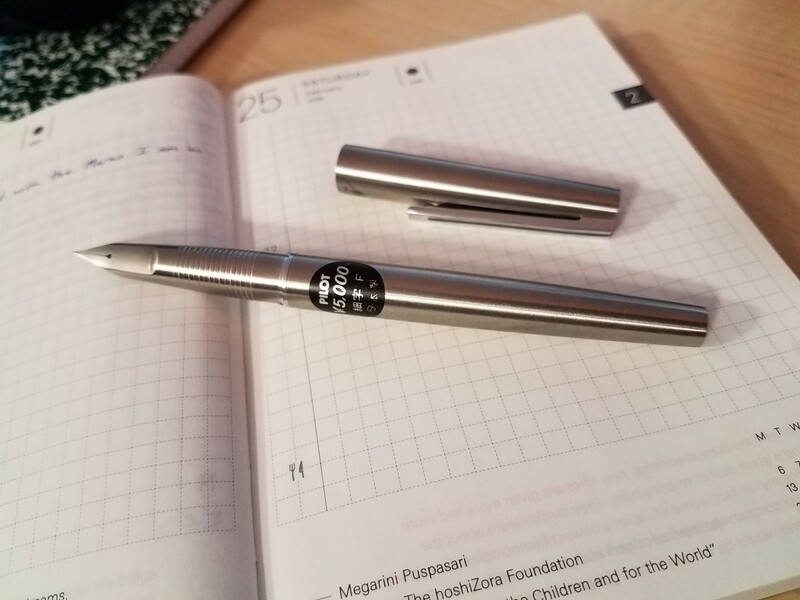 It’s the only pen that’s made me break my “costs less than $20” rule. The first time I saw a Murex (yes, in that article) I knew I had to have one. Such sudden lust for a fountain pen came as a complete surprise. I’m a bad pen fancier, I admit it. The aesthetic aspect of fountain pens has never moved me much, and I consider fountain pens to be tools that give me pleasure specifically as writing instruments. The best ones allow me to put words on the page with a minimum of fuss. The Pilot Murex puts words on the page, but it does so with a kind of timeless style rarely seen in fountain pens, a style I find immensely appealing. The Murex is not the first pen featuring a nib integrated with the body. That honor belongs to the Parker T-1, which was originally produced in 1970. 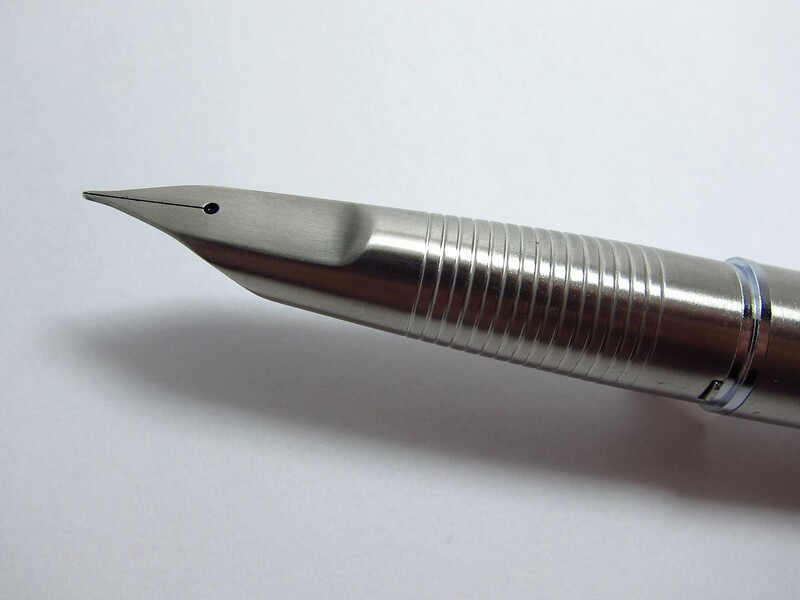 A year later, Pilot introduced the predecessor to the Murex: the MYU 701, a stainless steel fountain pen with an integrated nib, short barrel, and long cap. Pilot redesigned the MYU in 1977. Its short barrel and long cap was replaced with more traditional proportions, and the “Murex” was born. The clean lines of the Murex’s design are accompanied by minimal branding. 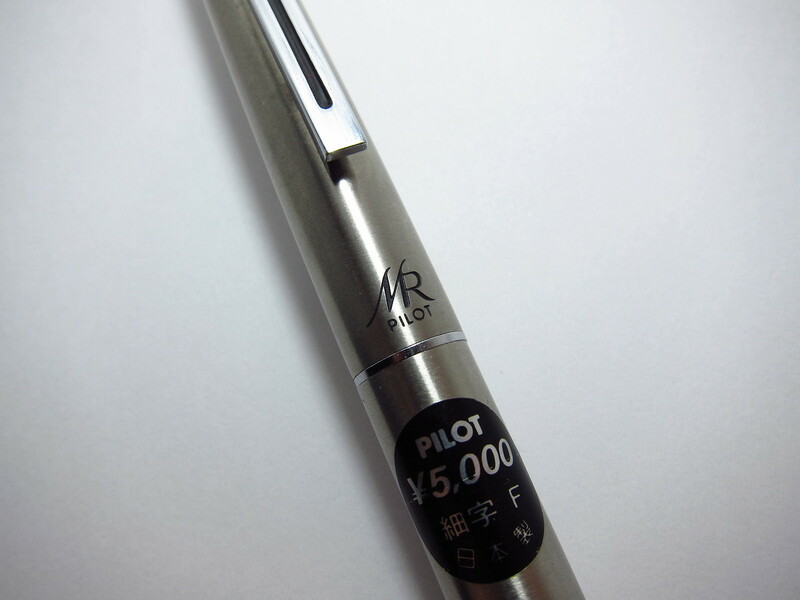 The “MR PILOT” etched into the cap is the only visible logo. The field of website design has the concept of “sticky eyeballs,” which means content that attracts attention and keeps it there. This can apply to physical objects as well. Apple iPhones. Ducati motorcycles. They grab the eye and refuse to let go, and the Murex is right there with them. It’s an attention grabber whenever I use it in public. But lest the Murex be considered all show and no go, I should mention that it’s an excellent writer. 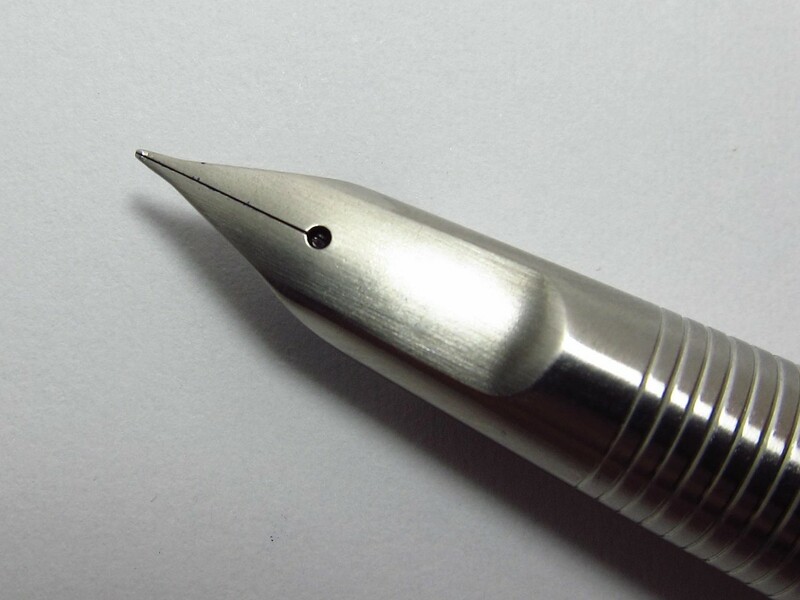 The integrated nib does not flex, but it glides smoothly and is a reliable starter. I purchased this pen on eBay as an uninked specimen, and it’s written flawlessly since I got it. Not bad for a pen only a few years older than I am. 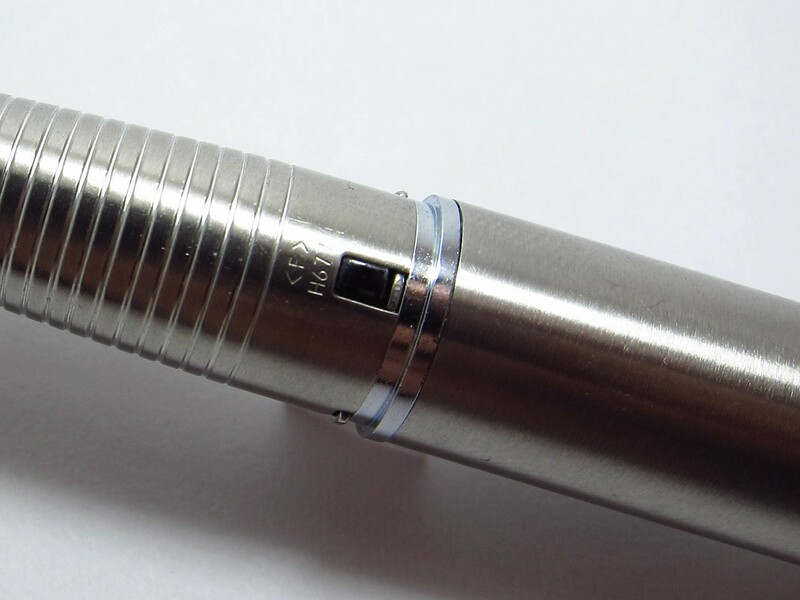 The nib integrated into the section is my favorite part of the design. It’s incredibly comfortable, and the concentric rings engraved into the section provide just enough grip to keep the pen from slipping. 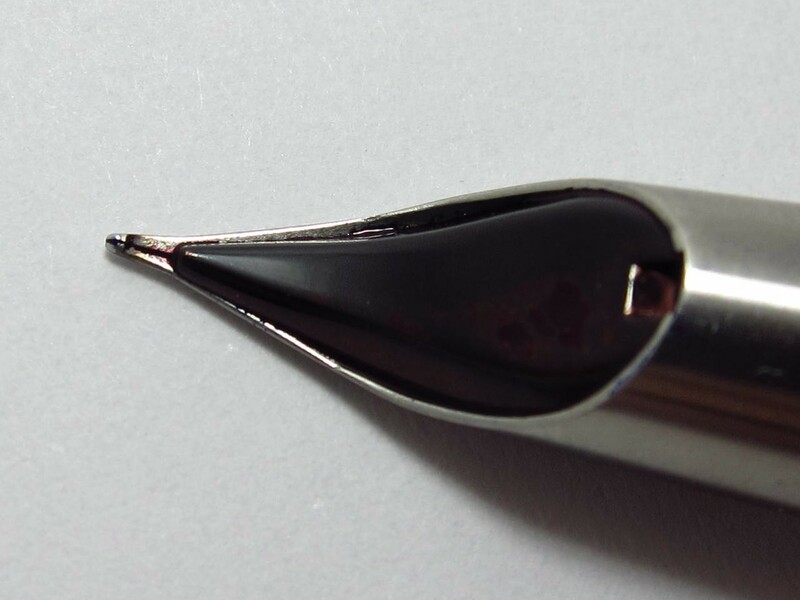 Prefer your grip up close to the nib? Go right ahead. Like your grip further up? Knock yourself out. Someone would have to have a particularly unorthodox grip to find this section uncomfortable. This particular Murex is engraved with “F” to indicate a fine nib, and “H677” for a manufacturing date of June, 1977 at Pilot’s Hiratsuka factory. Pilot did not neglect a single detail on this pen, right down to the spring clip on the cap and the satisfying way the cap snaps onto the body. 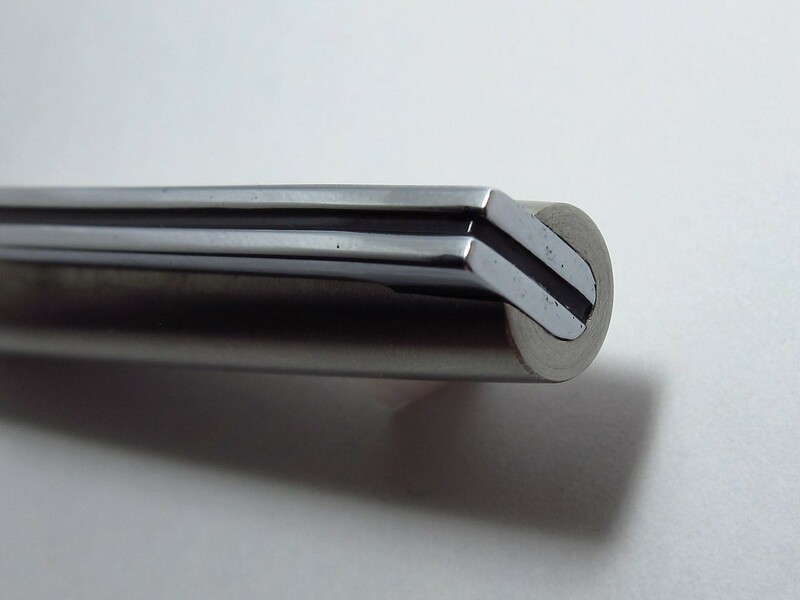 For an all-metal pen, the Murex does not feel heavy. It’s nicely balanced in the hand when unposted. For those who prefer the alternative, the cap posts deeply and securely, yet still remains in balance when writing. So yeah, the Murex is a cool pen, but is it economical? Consider that it originally sold for 5000 yen in 1977, which was about 16 US dollars at the time, or 66 dollars in today’s money. That’s a reasonable price for a pen that looks this good and writes this well. The Pilot Murex is an excellent pen with a simple, timeless design that pays attention to the little details but remains universally accessible. Dieter Rams would approve. The Pilot Murex featured in this post is part of my personal collection, purchased with my own funds. My thoughts are my own. It’s beautiful. I love the sleek way the nib flows into the body. Looks almost carved, doesn’t it? I somehow bought a grail pen about 35 years ago. Actually, probably in the early 80’s when I had a job for an important publishing company. My job wasn’t important and it didn’t especially pay well, but it was plenty prestigious. The pen was a gold Mont Blanc. I had no business buying it. I tucked it away and forgot about it and also forgot about fountain pens until a year ago. I bought a dozen or so inexpensive ones, some gorgeous inks and my husband bought me a dynamite Monteverde invicta. A few months ago I found the Mont Blanc! I cleaned it and it’s as pretty as I recall. My heart stopped a little when I got to “I tucked it away and forgot about it…” but I’m so glad this story had a happy ending! Those sleek lines are absolutely what drew me to the Murex. It’s just so different from what I thought a fountain pen could look like.